PALO ALTO, Calif. (KGO) -- A Silicon Valley company made good on its promise to a local family. Mountain View based Knightscope welcomed Harwin Teng and his family to its headquarters last week. Little Harwin received the tour after one of Knighscope's 300 pound robots ran over his right foot at Stanford Shopping Center on July 7 causing his foot to swell. He also suffered a scrape to his leg. 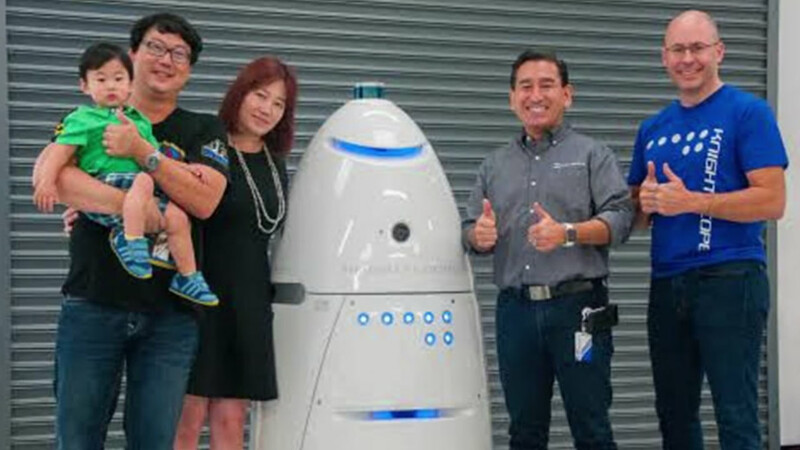 Knightscope called the accident horrifying and promised the Teng family that a new version of the robot will be rolled out.